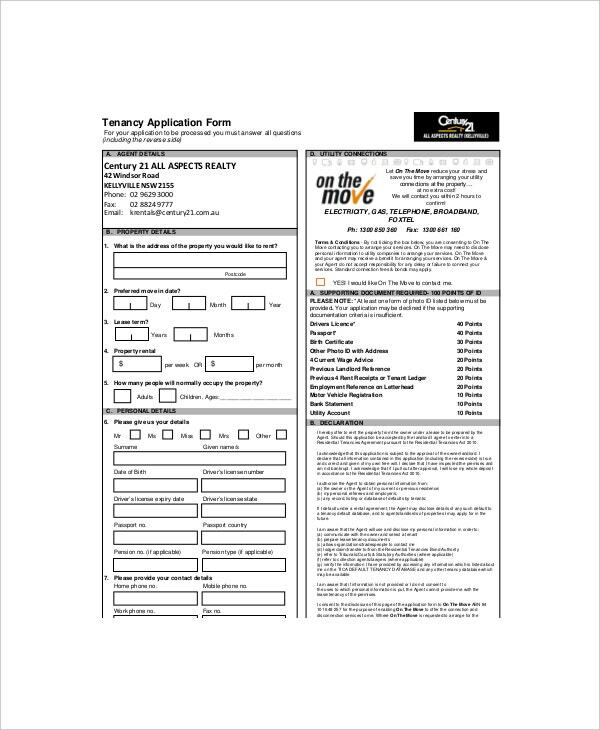 The rental application form is like the resume of the applying tenants where they must enter their personal details in order to check their identities by the owners before they are accepted. Similar to free Lease Templates which is operational in example format, you can create the document where all of the information of the tenants will be shown and have them aware of what kind of rental contract you will have for them. It is like making them a viewer of the content of the agreement in papers other than personally telling it to them. With this it is one step closer for the owner to know the tenants background and how the contract will be applicable for them. You can also see Residential Lease Templates. 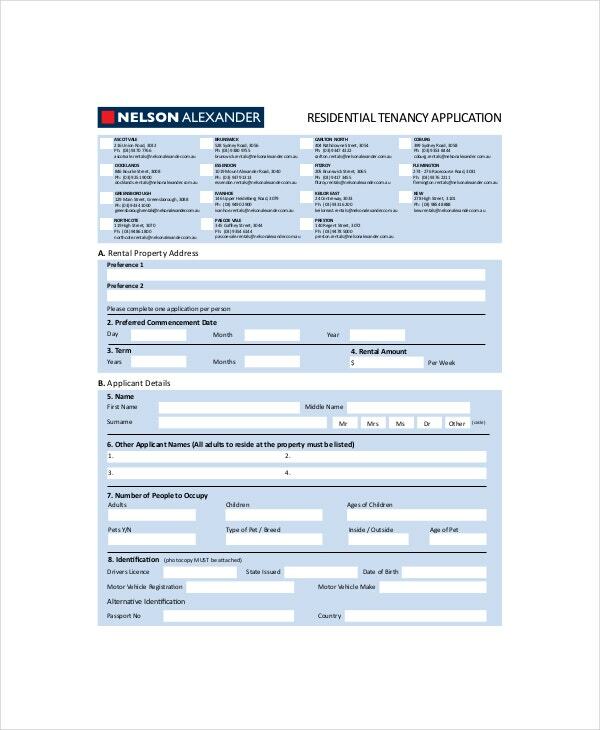 This is a pdf format application form prepared for landlords to the potential tenant to fill in with their relevant information so as for the landlord decide whether to rent them the residence or not. The template can be customized to suit the needs of the user. The template is available for free download from our site. 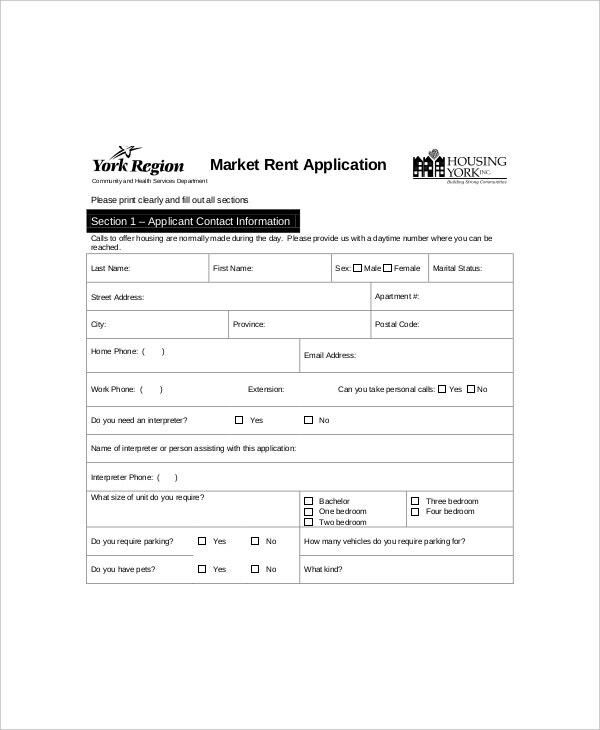 This is an example of a rental application form which is prepared for people who want to write a rental application, but they are unfamiliar with writing one or they are not sure of to write a rental application letter. The sample is available for free download in various file formats including PDF and Microsoft Word document format. 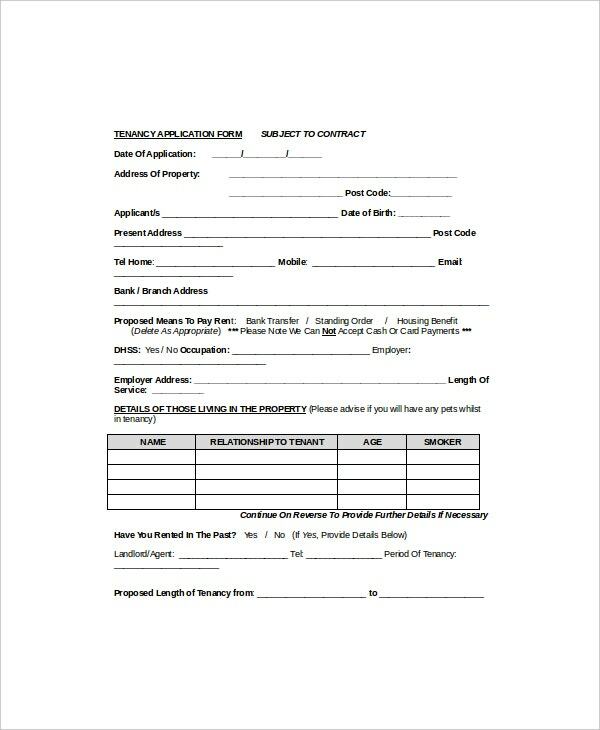 A rental application is a letter written by a potential tenant to the landlord to request them to rent their apartment. The application letter includes all the information that would entice them. You can also see Lease Termination Letter Templates. 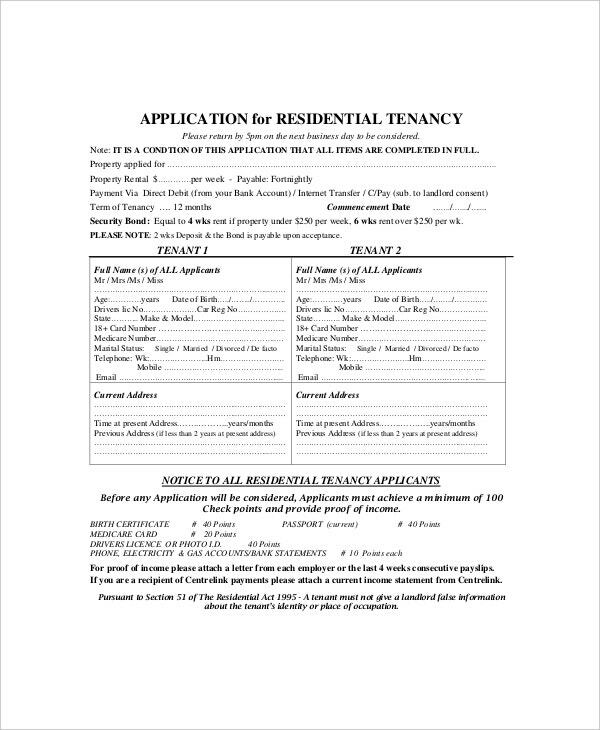 > When is the Rental Application Template Required? 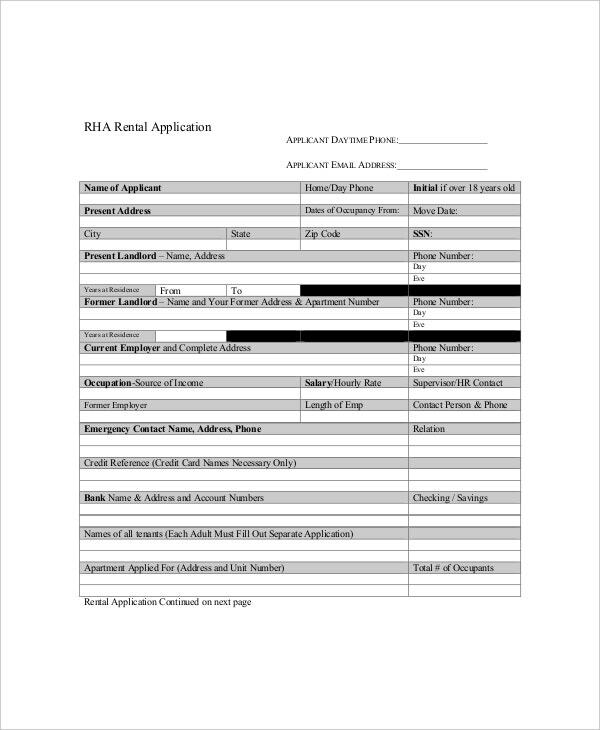 The rental application template is required whenever you want to move to a new house, and you have to communicate with the landlord to know whether they are vacant houses and if they can rent you. The template helps you to write such a letter. The templates assure you of efficiency and raises the chances of you getting the house for rent. 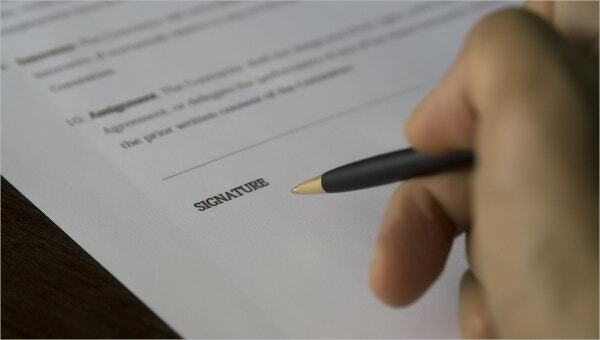 > How to Write a Rent Application Letter? Writing a rent application letter is simple as long as you know all the key details that should be included in the letter. These details include the date and your personal details. With all these, you can follow the standard format and tone used in writing an application letter. The application should be written in a formal tone structure and style. You can also see Apartment Lease Templates. Ensure that you have all the documents make the application and simple as possible and ensure that all the information provided is true. We have a vast of templates which users can download and customize to suit their needs. They are prepared by professionals, and all of them are free to download. They are available in various file formats and are fully customizable.